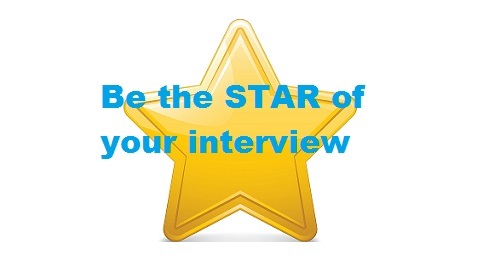 Using the STAR technique is a recognised way of communicating during a job interview. Interviewers are usually trained in this technique and how to adapt it to any interviews but mainly it allows for a more structured interview where communication and thinking before speaking are key. It is important to ensure that you try to apply this to each question you can so that your answer will be more structured and clear covering important answers for your recruiter. STAR technique stands for Situation, Task, Action, Result. Using the Star technique allows the interviewee to break each question down carefully thinking about an answer by following the STAR technique. During the following examples, let’s focus on the following question – When did you have to work to a tight deadline and how did you overcome this? This is the time to set the background of the question by explaining the situation that you were faced with – we were due to open a new store at short notice and needed to make sure that the merchandising was done quickly but in line with the new store area that we were unfamiliar with and who the target customers were and what they would like to buy to have a successful opening day. Explain the task, what did you do to achieve the task, how did you go about it, what effort did it require? – First of all we had to visit the local town and assess the other like stores and see what products were their best sellers to give us an idea of what sells in that market place and then we had to go through the stock we had at head office and decide what quantities, colours and styles of products should be in store for opening day and what promotions should be applied to make them attractive to new customers. We also had to plan the new store opening event to entice new customers to a store that they could possibly be unfamiliar with. The action that was taken to ensure that something was achieved – we divided the roles between the people with the best skills in our team so that some were allocating stock, some were working on point of sale material, some were liaising with the new store staff and Area Manager to ensure that the store has everything it needs for opening day including liaising with relevant IT departments for phones, till systems and pin codes, log on’s etc. The result, how it all panned out and what you have achieved and what you have learnt from the process that you have just been through to get to the end result – with all our planning and going through it all in meticulous detail meant that the store opened on time and we had a successful opening event with excellent sales figures and signed a number of customers up to our mailing list where we can invite them to other and new events that we do. Don’t forget that it was a team effort and that you can name who did what good and what less so and demonstrate how it has been thought out.